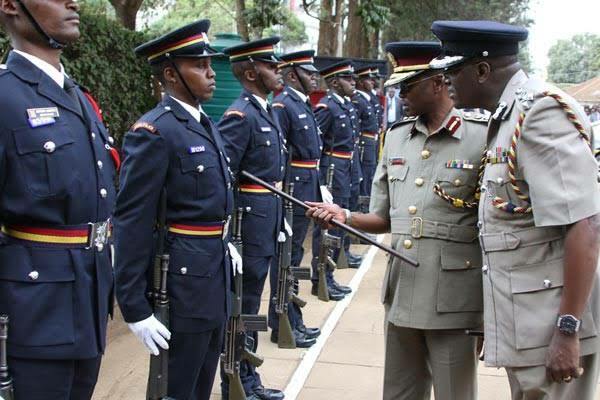 An officer at this rank will be deployed as in charge transport, deputize in-charge Aids Control Unit, Staff Officer, Company Commander. Duties and responsibilities will entail:- coordinating national days celebrations in collaborations with relevant stakeholders; coordinating training and development programmes of officers within their command areas; developing plans for implementation and support of community policing; carrying out inspection of police lines, camps, barracks, fire arms, armoury, and parade; managing stores and inventory; coordinating disposal of obsolete goods; visiting camps for inspection purposes; undertaking weekly lectures on police duties; undertaking morning call ups and evening briefs; managing the staff, formation and/ or unit resources; leading security operations; deploying officers within sections; handling of discipline matters; ensuring proper management of resources within his/her command; attending courts; and perusing case files and giving guidance to the investigating officers. In addition the officer will be responsible for:- planning, coordinating detection and prevention of crime and apprehending offenders in the area of jurisdiction; undertaking crime analysis and reporting; cooperating with representatives of all government departments and county Governments in their areas of jurisdiction; maintaining liaison with other commanders and officers across ranks; carrying out research on crime to inform security policy; combating piracy at the sea; overseeing VIP protection and presidential coverage; performing traffic duties; carrying out Command and leadership roles; organizing raids, ambushes and special operations; coordinating search, rescue and seizure of suspected stolen goods; coordinating security committee meetings; attending security briefs; sensitizing the public on road safety measures; and mentoring, coaching and appraising lower rank officers. Duties and responsibilities will also entail:- being the officer commanding division/company commander responsible to their services for the efficient administration of sub-counties; coordinating national days celebrations in collaborations with relevant stakeholders; coordinating training and development programmes of officers within their command areas; overseeing staff; enforcing discipline among officers; developing operational orders and implementation; deal with community policing issues; establishing various policing programmes to address crime; organizing briefs for divisional security committee, courts and other judicial processes; coordinating inspection and repairing of arms; taking charge of the command control centre and its administration; undertaking morning call ups and evening briefs; releasing crime and incident reports to county police commander; dealing and acting on complaints from members of public and police officers and appraising personnel within the command; ensuring proper management of resources; planning and coordinating detection and prevention of crime and the apprehension of offenders in their area of jurisdiction; undertaking crime analysis and reporting; cooperating with representative of all government departments and county Government in their areas of jurisdiction; liaising with other commanders and officers across ranks; undertaking crime research and mapping to inform policing; organizing security raids; coordinating major police operations; investigating and planning strategies to deal with terrorism and organized crime; performing traffic duties; carrying out Command and leadership roles; organizing raids, ambushes and special operations; coordinating search, rescue and seizure of suspected stolen goods; coordinating security committee meetings at divisional level; attending courts; attending security briefs and sensitizing the public on road safety measures; and overseeing VIP protection and traffic duties. Duties and responsibilities of an officer deployed at the training institution will entail: maintaining liaison with other commanders and officers across ranks; coordinating national days celebrations in collaborations with relevant stakeholders; coordinating training and development programmes of officers within their command areas; enforcing discipline among officers; performing Training and Instructional duties; undertaking administration duties; supervising officers under him/her; commanding and providing leadership to officers in his/her command; inspecting and repairing of arms and appraising personnel within the College; carrying out staff administrative duties; reviewing of training programs regularly; setting, marking and moderating examinations; and conducting course evaluations.